13 rare Porsches for sale at RM Auctions Paris sale will be offered ‘without’ reserve on February 8th 2017. The cars for sale are part of a Swiss collection. 42 cars from the collection will be offered for sale at RM’s other auctions throughout 2017. Here are some of our favourite cars going under the hammer in Paris. This 1994 Porsche 911 Turbo S 3.6 for sale is one of just 17 cars Porsche built in 1994. Using the final batch of Turbo chassis at the end of the 964 production run. Porsche Exlusiv produced the special Turbo 3.6 S, selling them to ‘preferred’ special clients. Most customers opted for the ‘Flachbau’ slant-nose option, with just 17, including this car, opting for the traditional 911 look. Packing around 385bhp, this 911 Turbo S, has under 23,000 miles on the clock and is estimated at £565,000 – 652,000 (€650.000-€750.000). Another rare, turbo-powered Porsche for sale from the Swiss Porsche collection is this highly original 1988 Porsche 959 Sport. 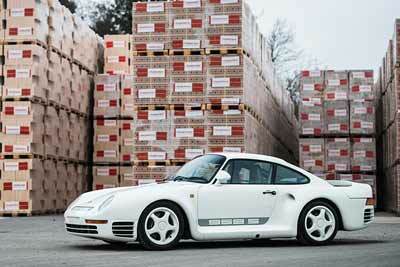 In the 1980s, the Porsche 959 was one of the fastest and technologically advanced cars on the road. The Sport was stripped back to keep weight down, with luxuries like air conditioning and central locking removed. This car was purchased new by California Porsche dealer and racer Vasek Polak, who picked the car up from Porsche in Stuttgart and toured Europe in the car before returning to America. Porsche only built 29 Porsche 959S (or Sport) models and this car is one of the real stars cars of the collection. The car recently spent six months at the Porsche museum in Stuttgart as part of a special exhibit. With just three owners from new and having covering just 11,281 miles in the last 29 years, the 959S is in original condition and comes with an estimate of £1.3 million – £1.7 million (€1.500.000-€2.000.000). A more modest but still rare and collectible Porsche for sale ‘without reserve’ from the collection is this original 1970 Porsche 914/6. 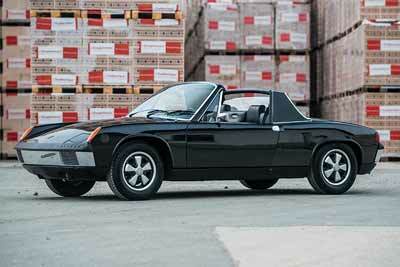 The standard Porsche 914 was powered by Volkswagen’s 80bhp horizontal four-cylinder engine. Porsche’s solution for customers looking for more performance was to fit a 110bhp version of the 911’s six cylinder engine. Hence the ‘6’ in 914/6. This unfortunately came at a price and a new 914/6 was only slightly cheaper than a standard 911. The result? Porsche sold only 3,300 of these cars in its three year production run. 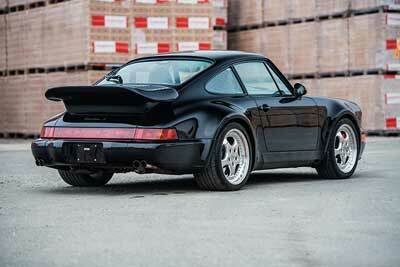 This rarity has made these cars very popular among enthusiasts and Porsche collectors today. Delivered new to the United States, this Porsche 914/6 has completed less than 45,000 miles and is estimated at between £34,000 and £52,000 (€40.000 – €60.000). These classic Porsche cars are for sale at RM Auctions Paris sale on 8th February at Place Vauban.